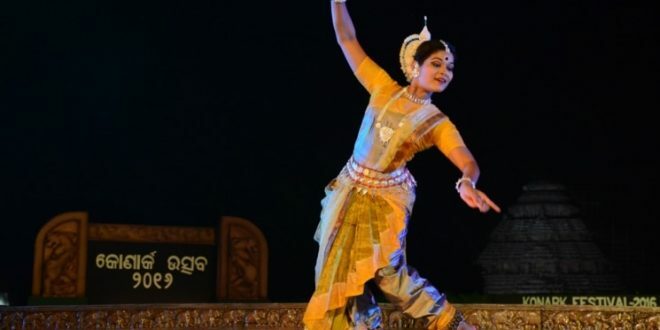 Bhubaneswar: Odisha Tourism sponsored Konark Festival witnessed the depiction of ‘Bhaba’ in Kathak and Odissi recital in the fourth evening on Sunday. Renowned Kathak exponent Ashimbandhu Bhattacharjee and the artists of Upasana presented ‘Parikrama’ a soul-stirring choreography describing the journey of life. Life always remains as an infinite track between the blurred past and the un-harboured future. It is always an endless Parikrama. This theme got beautifully expressed to the thundering applause of the mesmerized viewers. 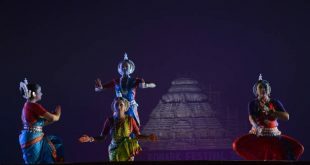 Soon after the artists from Odissi Research Centre, Bhubaneswar staged the dance drama ‘Lavanyabati’ based on ‘Labanyabati’ a poetic treatise of the great Odiya poet, Kabi Samrat Upendrabhanja. “Love transcends the barriers of time and continues forever’’. This adage found a true manifestation in the life of ‘Labanyabati’ and ‘Chandrabhanu’ whose true love continued even after death and that made them tied in wedlock in the next birth. The guests of the evening were Chief Justice of Odisha High Court Vinit Saran, Justice Subash Parija, Justice D.P. Choudhury, V.C. Utkal University of Culture Prof. Kamalakanta Mishra, Vice President T.C.S. Tanmaya Chakraborty and Director Tourism Dr.Nitin Bhanudas Jawale.